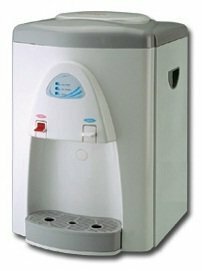 528 H/W & H/C Table Top ★ Water Dispenser Table Top Johor, Kluang, Malaysia supply ★ Azure Purewater Marketing Sdn.Bhd. 2 Type : Hot and Cold & Hot and Room Temp. * Safety lock for hot water tap.